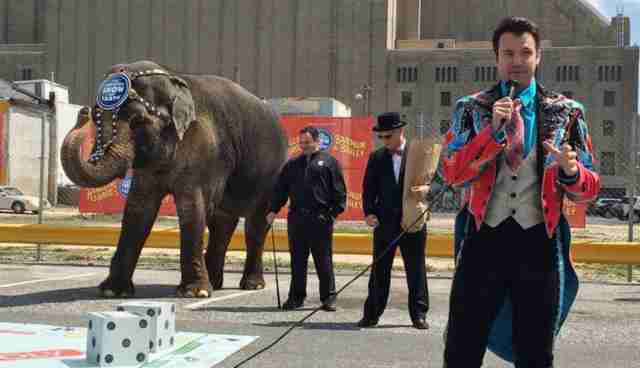 At a recent publicity event in Atlantic City, handlers from the Ringling Bros. paraded a circus elephant named Duchess before a crowd of spectators, prodding her into "playing" a game of monopoly with the city's mayor. 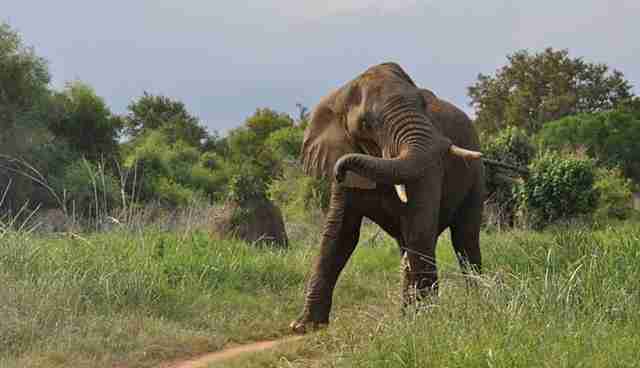 While this involved little more than Duchess picking up and dropping oversized dice with her trunk -- it underscores just how far removed these performance animals are from their natural setting. 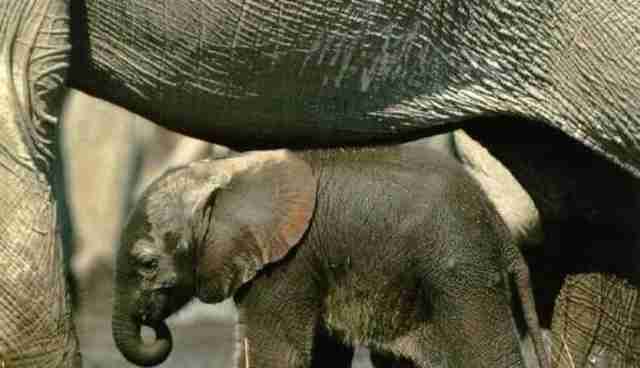 After all, elephants' highly tactile trunks, composed of around 100,000 different muscles, were never meant to be used in some cheap stunt. 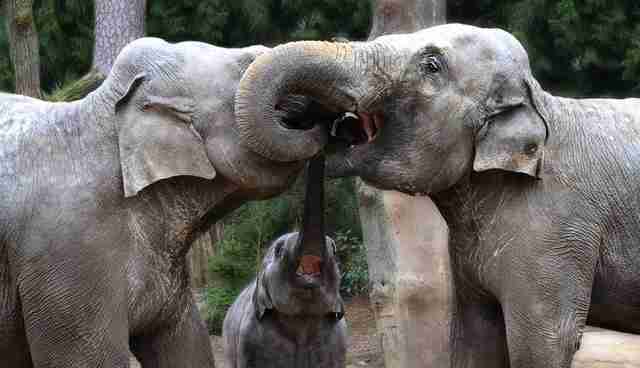 Given that trunks are really just massive noses, it's not surprising that they're incredibly good at sniffing things out. 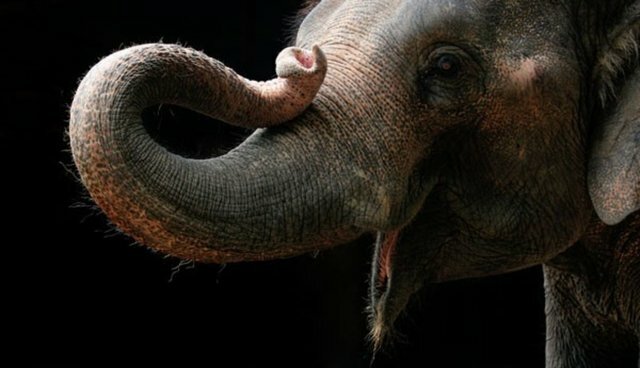 Elephants possess a series of seven olfactory turbinals, each of which are packed with millions of olfactory receptor cells which make them even better smellers than bloodhounds. So powerful are these animals' sense of smell that they can detect water sources from up to 12 miles away. Traveling long distances through the arid savanna is an easy way to work up a thirst, but fortunately these animals know how to rehydrate quickly. 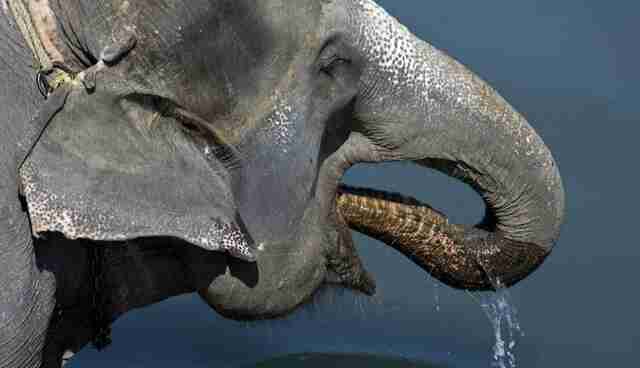 Elephants are capable of drawing a whopping 15 litres of water into their trunks in a single pull, making them easily one of the most efficient drinkers on the planet. 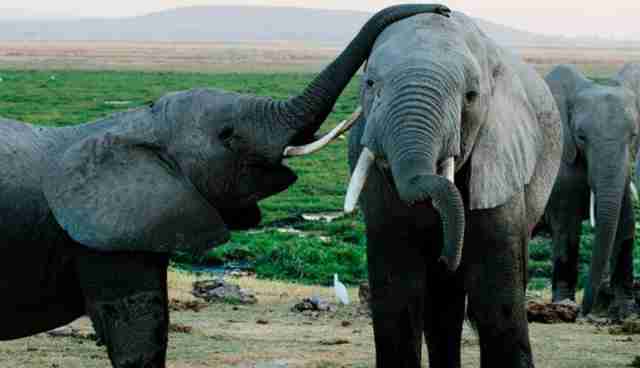 Like a handshake or hug, elephants intertwine their trunks upon meeting as a show of affection and acceptance. While it might be surprising given their massive size, elephants are actually quite strong swimmers -- though it does help that they come with a built-in snorkel. 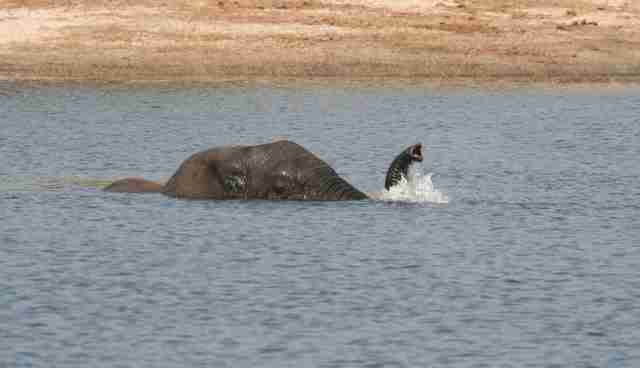 Even when completely submerged elephants can still cross deep lakes or rivers by poking the tips of their trunks out of the water to breathe. Despite their sheer strength, trunks also allow these animals to be extremely sensitive, in both a tactile and emotional sense. Elephants are highly social animals, forming incredibly close bonds with their families and other members of the herd, and nowhere is that more apparent than in how they use their trunks to pet and caress those they love in times of discomfort or stress. There is nothing fun or amusing about circuses that exploit animals. Performance animals, like elephants, are routinely subjected lives of intimidation and abuse at the hands of their keepers. Join us in pledging to not support circuses that us animals as props for entertainment.